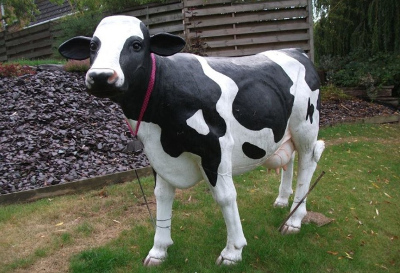 A COW has been stolen from the side of the Nene at Ramsey, in the Fens. However this is no ordinary cow but a full size fibre glass replica of a Fresian, understood to be worth around £1,000 Alan Tilbury reports. The police received the report of the cow that was stolen from the side of the navigation during the night last week, realising the size and weight meant it needed at least two thieves to be involved. The police, releasing details of this theft on the internet, caused upset with complaints that whilst a man who had his van broken into and his tools stolen was not given such publicity. But the police responded that it investigated any offence where there are viable lines of inquiry, and there were not in the case of the van.